The famed 30A. Is it worth the travel time? I give an emphatic YES! We take a yearly summer beach vacation to La Jolla, California, but a couple spring break's ago we decided to give 30A a whirl and I have been eager to go back ever since! 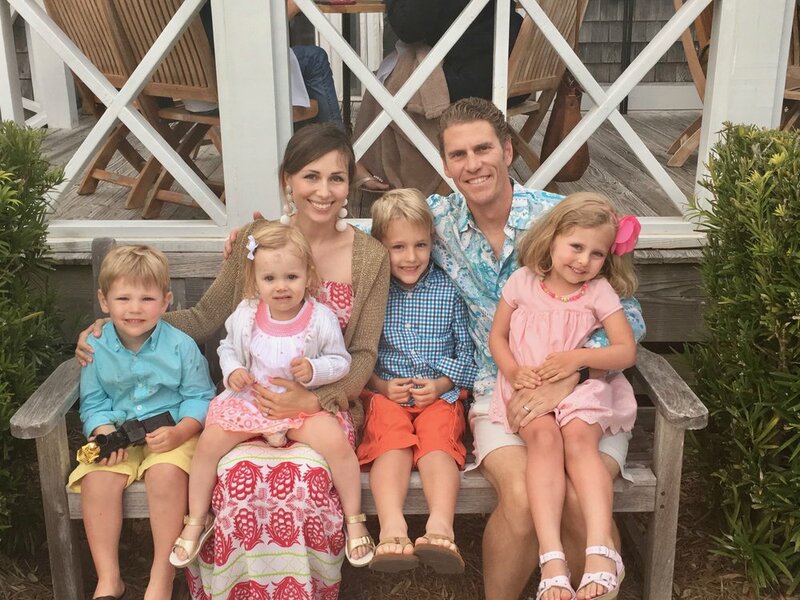 30A has a great selection of fun family activities, is clean, laid out well, offers endless restaurant options and cute shops for adults and children, and overall evokes a wonderful atmosphere that I was instantly smitten with. In researching where exactly on 30A to try, I spoke to several friends that had made numerous visits to the area. Everyone had their own personal favorite. Seaside got rave reviews. Watercolor was a big hit. Alys Beach sounded like a dream. Watersound seemed like a gem. After looking into these and more, we landed on Rosemary Beach and y'all, it. was. PERFECT. Walking down Main Street was like stepping back in time. Even the streets were pretty! Colorful bicycles lining the road. Children running around and laughing. A face painter at the church. Maybe the best toy shop we've ever been in. It was truly lovely. I don't have a single negative thing I can say! The beach was beautiful. White sand. Turquoise water. It was a little chilly for me as we were there in March, but that didn't stop the kids from bolting straight to the ocean every day. Well, except for my littlest. It took her a few days to become friends with the sand and the ocean. Evening walks on the beach were so much fun as well. The beautiful photo ops here are never ending. Below are some of the best places we went. Now get busy planning your trip! Gigi's was an absolute hit. Packed to the brim with books, toys, accessories and clothes for kids, you will be happy to spend an hour in here (though your wallet may not). I personally loved Willow's. The buyer is amazing and has curated a great selection of women's clothing and accessories that truly appeal to every taste. There are some unique finds in here! Definitely worth a stop. (They carried my line way back when so you know they have good taste ;) Take a look here for a complete list of merchants in Rosemary Beach, perhaps the most useful being the two listings for recreation: Bamboo Bicycle Company and Beach Services. We rode bikes around town and also to Alys Beach one day. Very fun! I am so glad we rented chairs and umbrellas as well. It was definitely worth it! They set them up for us daily. Super easy. Our favorite restaurant was La Cream Tapas & Chocolate on Main Street. Wonderful ambiance with great portion sizes for adults and children alike, and amazing desserts. I feel like the only thing I really need to say though is that chocolate soup is an actual item on the menu. Just go. Edward's has good food, but it is pricey. If you want to do a high end family outing, we preferred the Havana Beach Bar and Grill in The Pearl. The grouper with risotto was AMAZING. We did chicken tenders for the kids and ice cream was included. They also offered coloring pages to help keep them occupied for just a bit longer. Always appreciate that! Wild Olives was also nice but family friendly for sure. It is a great spot to grab an outdoor table and watch as the families stroll through Rosemary Beach’s magical main square. Cowgirl Kitchen has a casual and fun atmosphere for breakfast, lunch and dinner. We went for lunch one day and it was enjoyable, but personally I would say save the money to put towards a fun dinner and eat lunch at your house instead. There is a Publix grocery store that is very close and easily accessible, which made eating at home much easier (which was, of course, more cost effective and saved money to put towards other things). We ventured over to Alys Beach to visit George's for dinner one night after hearing so many praises about it being the BEST place to eat, and I have to say, I was a little underwhelmed. I can see why it is appealing - it is very chic - but it was overpriced for what it was. La Crema and Havana were MUCH better food in my opinion. 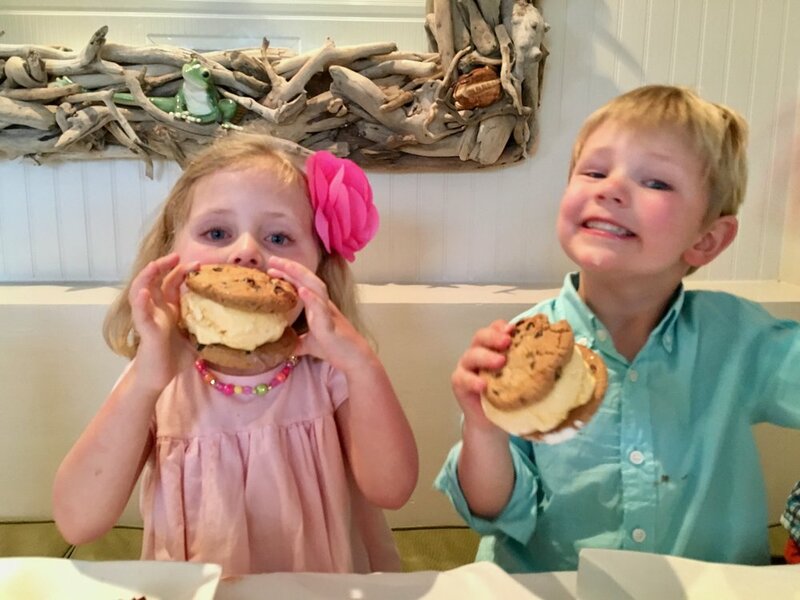 The kids did adore the ginormous ice cream sandwiches though! Walking around in Seaside one night was really great. It was PACKED! After seeing the crowd I was thankful we went with Rosemary as our base, but having Seaside close to visit was fantastic. We stopped at the Barefoot BBQ truck and it was HEAVEN. Super respectable for Florida BBQ, and organic, grass fed meat with no hormones. Yes, please. We walked across the amphitheater to grab some dessert at Heavenly's Shortcakes and Ice Cream - delicious! We had taken advantage of the free face paint being offered by the Rosemary Beach square earlier that day. They did a fabulous job! Finding out the most fun place to have breakfast was the best adventure because breakfast > everything. The Summer Kitchen Cafe is a good option but was not our favorite. 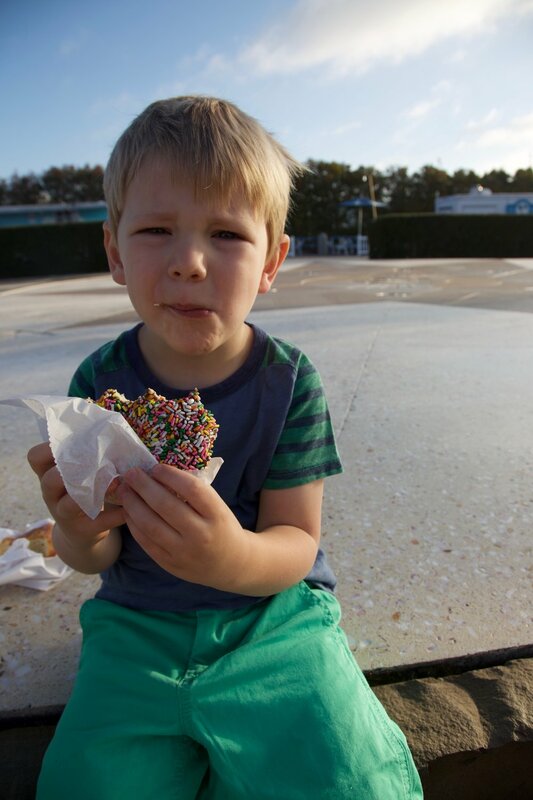 The kids loved Charlie's Donut truck at Alys Beach. We could have done this every morning! It was easy and fun. Our absolute favorite breakfast spot was Great Southern Cafe in Seaside though, so much so that we HAD to make time to squeeze in one more visit before we left town. Five stars for breakfast. Five stars for the 80s music. Five stars for the paper covering the table so the kids could color anywhere. Our first visit to Great Southern Cafe. We did not want to leave! The Rosemary Beach farmer's market was such a treat as well. It happens every Thursday and Sunday from 9am-2pm in the town center. We scored some delicious berries, jam, honey and farm fresh eggs. There are a ton of vendors. Worth the visit for sure! 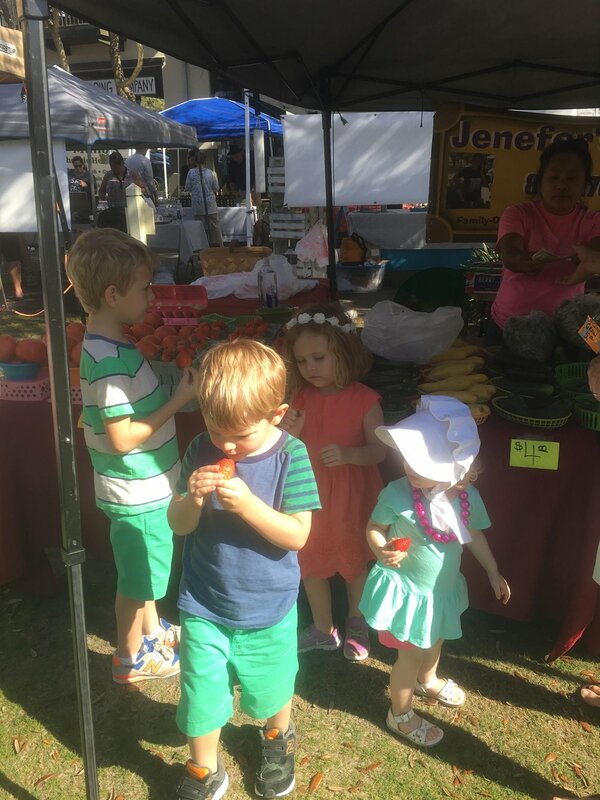 Chowing down on strawberries while exploring the farmer's market. Overall, this is absolutely one of my favorite family trips we have ever taken. It was a relaxing, slow paced, gorgeous, kid friendly dream.